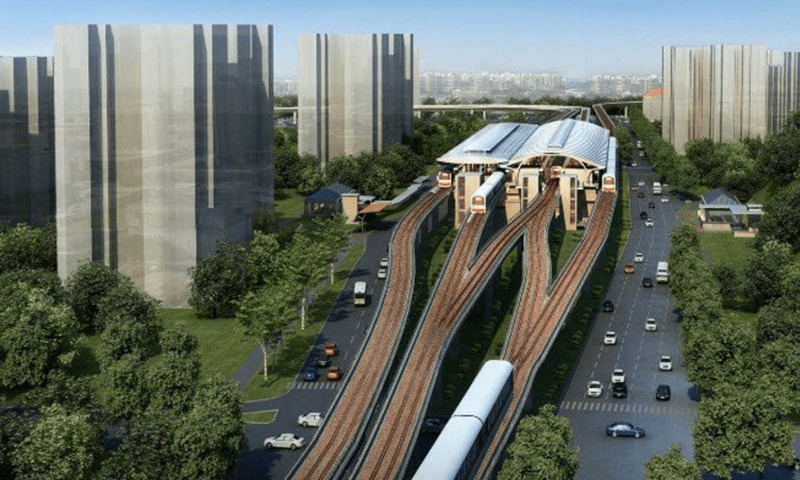 The S$325m (£185m) contract awarded to Lum Chang Building Contractors includes extension of the existing East-West Line MRT tracks to connect to the new four-in-one East Coast Integrated Depot at Changi. The four-in-one depot will house trains from the East-West, Downtown and Thomson-East Coast Lines, as well as buses. Construction works for the additional platform are expected to start by the end of 2016 and targeted to complete in 2024. With an additional platform, both the East-West Line and Changi Airport Line will have a pair of dedicated tracks. This allow airport trains to arrive and depart at shorter intervals than at present, speeding up travel. During the construction phase, LTA will work with the contractors to implement dust and noise control measures on site. Noise barriers and privacy screens will be installed along some stretches of the new viaduct to mitigate the impact on residents living close to the station.